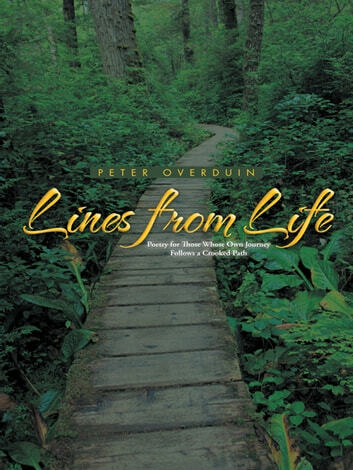 Lines from Life presents a sensitive and touching collection of thoughts, dreams, and wishes by poet Peter Overduin. He offers a realistic view of lifes disappointments and failures, hoping to provide companionship and sympathy to those on journeys like his ownboth in times where there is only darkness and in those that hold a sweeter melancholy and even hope. From lost love to hopes and dreams, he delves into the emotional ups and downs of his everyday life. His poignant reflections upon songs from the soul, love lost or found, and friendship speak to those facing struggles and gives voice to emotions shared across the face of humanity. I would wake up to a nightmare. I found the sunrise of my soul in you. I see them come true in you. His Story, History. My Story, Mystery.